I came across this site awhile back, but because I am a big Moodle fan, I haven't used it with my classes because I have all of my test already created. If I didn't have Moodle or just wanted to create a short quiz that could be linked in my blog or web page then Yappr.com is a great place to visit. What does Yappr.com actually do? There are two things it actually does; one is that it allows you to create online quizzes and two is that you can also create flash cards. I already shared one of my favorite flash card makers so I am going to concentrate on creating a quiz. What are the cool things about Yappr.com? You can link to the quiz on your own blog or website. You can share the results of the quiz. 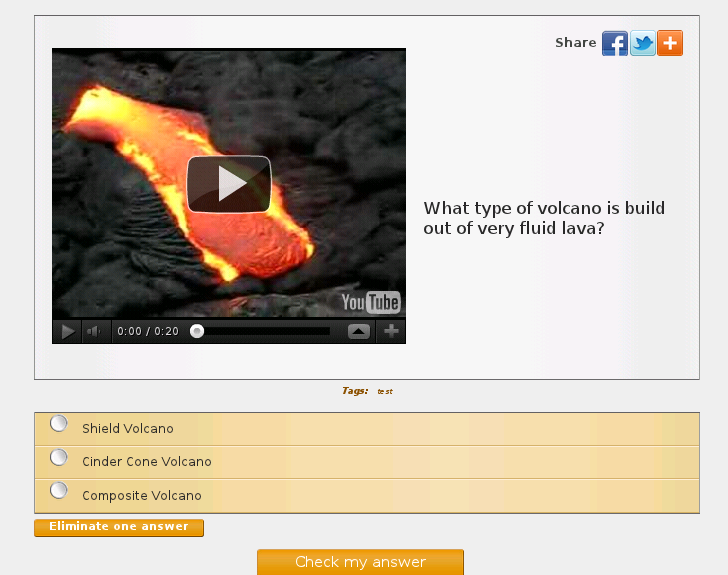 Students can comment on the quiz. You can embed media such as youtube videos into your quiz. What are some drawbacks of Yappr.com? You are limited to multiple choice questions. 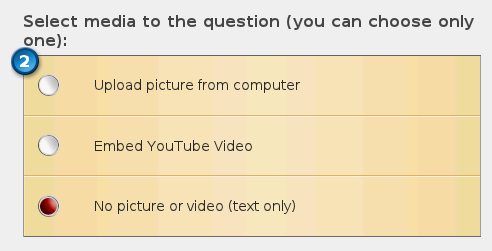 You can't actually embed the entire quiz into your website, just share it by using the link. 1. Create a free account. Cool thing is that it will let you use other login credentials from places like facebook and google. 2. After you are logged in click the "Make Flashcards or Quizzes" button. 3. Give your quiz a title, description, some tags (key words to help make searching for your quiz easier, and select the categories for your quiz. On the right side select the options that are right for you. When you are done click the next button. 4. Here is where you will enter your quiz question and add another tag if you want to. 5. Now you can either upload a picture or add a youtube video link. 6. Now enter at least possible answers marking the correct answer. Click the "Next" button when you are done. 7. Your quiz is officially done. To share it by getting the link just click the "Plus" button and it will generate a link for your quiz. 8. Here is a link to a sample quiz to give you an idea what Yapper.com is like.